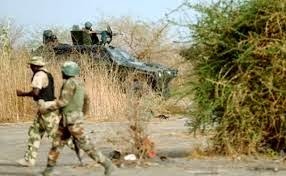 Nigerian troops have rescued about 160 more hostages from Boko Haram’s Sambisa Forest stronghold, the army said on Thursday, taking the total number liberated this week alone to nearly 500. The numbers underlined the scale of the tactic of mass abduction used by the militants, who according to Amnesty International have seized about 2,000 women and girls since the start of last year. Amnesty’s Africa director for research and advocacy, Netsanet Belay, said the rescues were a “cause for celebration” but he warned: “This is just the tip of the iceberg. “There are thousands more women and girls, and men and boys, who have been abducted by Boko Haram,” he said in a statement. Female former hostages have described being subjected to forced labour, sexual and psychological abuse as well as having to fight on the frontline alongside the rebels. The first release of 200 girls and 93 women was announced on Tuesday, raising hopes that some of the 219 girls snatched from their school in Chibok in April last year were among them. Army spokesman Sani Usman has said the Chibok girls were not part of the group but defence headquarters in Abuja has said it was too early to say. The mass kidnapping from Chibok, in Borno state, prompted global outrage and forced President Goodluck Jonathan to accept international help in the search operation for the missing girls. All the former hostages — some of whom are said to be traumatised by the experience — were being screened to determine their identities and from where and when they were kidnapped. On Thursday, Usman said about 160 more hostages were freed in an operation involving troops from the army’s 7th Division, which has been tasked with fighting Boko Haram. “We are still trying to compute the actual number of those rescued. But tentatively there are about 60 women of various ages and around 100 children,” he told AFP. One woman was killed in the fighting and eight other rescued hostages were injured. A soldier was also killed and four others wounded. Several “terrorist training camps” were cleared during the operation while equipment and vehicles were seized, he added. A military source indicated the women were used as human shields and in some cases fired back at soldiers until they were subdued.